The aroma of fast food wafting out onto the sidewalk during a busy day in New York City may become less enticing to customers once they walk in to take a look at the menu and see an ominous black label marked next to some of their most guilty pleasures. As of Dec. 1, chain restaurants in New York City must display a warning label in the form of a black, triangular salt shaker next to menu items containing more than the recommended daily limit of 2,300 milligrams of sodium, or one teaspoon. 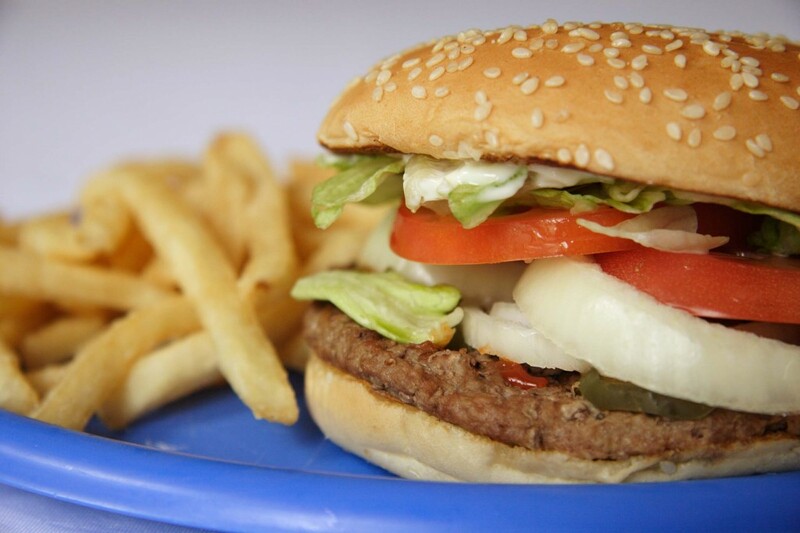 Juicy cheeseburgers, tender chicken nuggets, submarine sandwiches, decorated salads, and many baked goods are laden with sodium chloride, or table salt, which can cause serious health complications like hypertension better known as high blood pressure, when consumed in excess. According to the American Heart Association, hypertension due to a high sodium diet is the number one cause of death worldwide. Other cardiovascular risks include heart failure, stroke, osteoporosis, kidney disease, and stomach cancer. New York City has been a health trendsetter in the past few years, passing restaurant regulations to encourage better meal decisions such as posting calorie counts on menus and restricting trans fat in restaurant food. According to Dr. Weintraub, that statement isn’t true. Rebecca Appleman, a registered dietician, in Manhattan and co-founder of the “Instagram for Nutrition” app Honey, weighed in on the sodium epidemic in restaurants. Adnan Islam, a manager of Dunkin Donuts in the East Village, saw the benefits of the warning labels as two-fold for both business and health reasons. 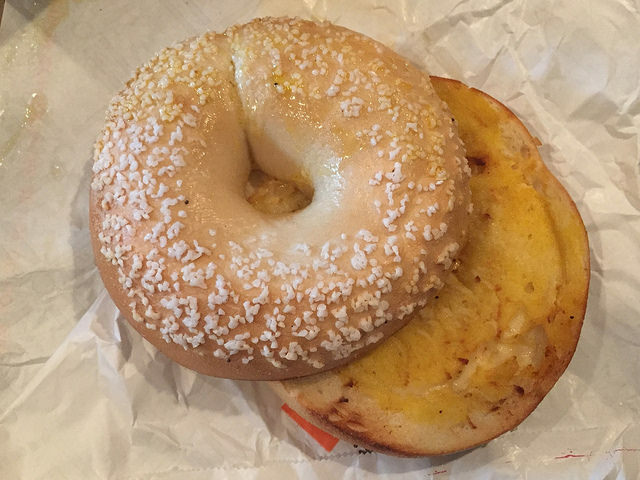 Dunkin Donuts had only two items required to be labeled for sodium, the Salt Bagel and Salt Bagel Twist, which contained 3,380 milligrams of sodium according to the site’s nutritional information. Islam’s location did not carry either one in-store at the time the label was enforced, but will have to display the label when they come in. Philip Romeo, 24, enjoyed a plain bagel with cream cheese at the East Village Dunkin Donuts while on break from work, and said he believed the labels will make him more likely to visit the restaurants that display them. Romeo thought the labels had the potential to make an impact on the health of New Yorkers, even if it were just a small percentage. As a dietitian, Appleman agreed that the labels will educate consumers about what goes into their food when ordering out. Efrain Segovia of the Bronx was enjoying a Happy Meal at McDonald’s in the East Village, but he said he understood the danger of the food he was eating and why warning labels could pay off. The chain has not yet displayed the sodium labels, but would have to do so on items such as the 40-piece McNugget and some Big Breakfast choices. “I think its a great idea, especially for people who live off of McDonalds,” he said, gesturing to his Happy Meal box with an ironic laugh. Segovia thought the labels would be necessary given the links of sodium to cancer and other diseases, and would make him rethink his choices in the future. While many New Yorkers shared positive views on the salt warning labels, some were indifferent towards the new regulation. 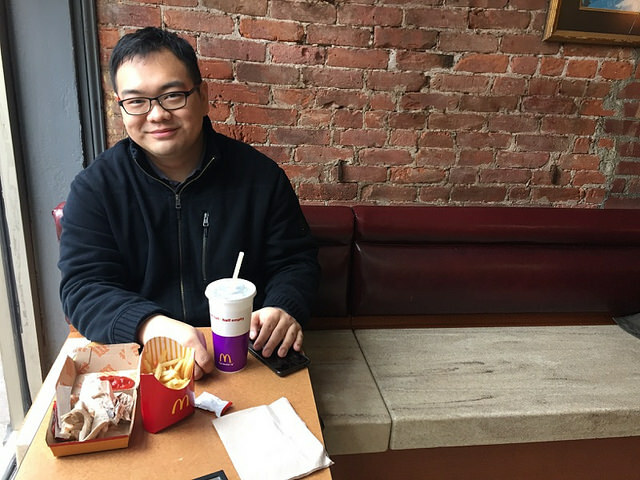 Edward Zhang, of Secaucus, N.J. had just finished a double quarter pounder and medium fries at McDonalds in the East Village and he had no regrets. 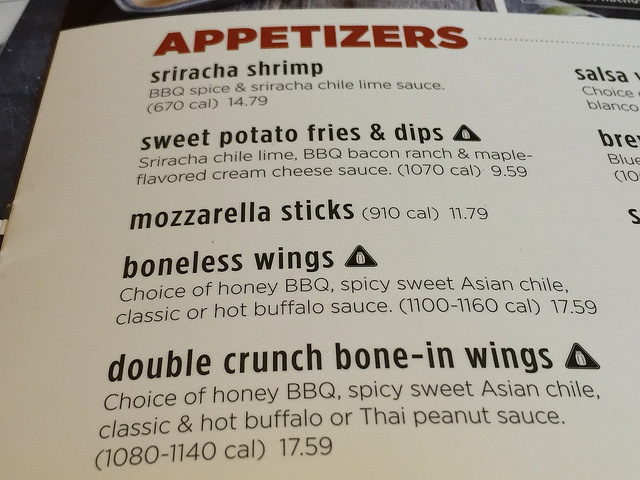 Zhang thought that at best, the labels would help him cut back and minimize the times he chooses to indulge, but he is surely “not eating it every other day.” If he ever started feeling badly about his calorie intake, he would hit the gym. Appleman suggested a few tips for New Yorkers to maintain a healthy lifestyle on the go. “Planning ahead is key when it comes to a busy schedule,” she said. High quality snacks such as “nuts, dried fruit, whole grain crackers, and whole grain cereal bars” can be bought in bulk and paired with convenience store items such as fruit, cheese, and yogurt for a healthy and inexpensive meal for busy schedules. Dr. Weintraub said he hoped the labels would bring a degree of awareness, but reducing sodium alone will not be completely impactful unless lifestyle changes are made along with it. Chain restaurants have 90 days to comply with the sodium warning labels, but the city will not begin handing out fines until March 1.